You should always be careful when getting cheap things that may be fake! 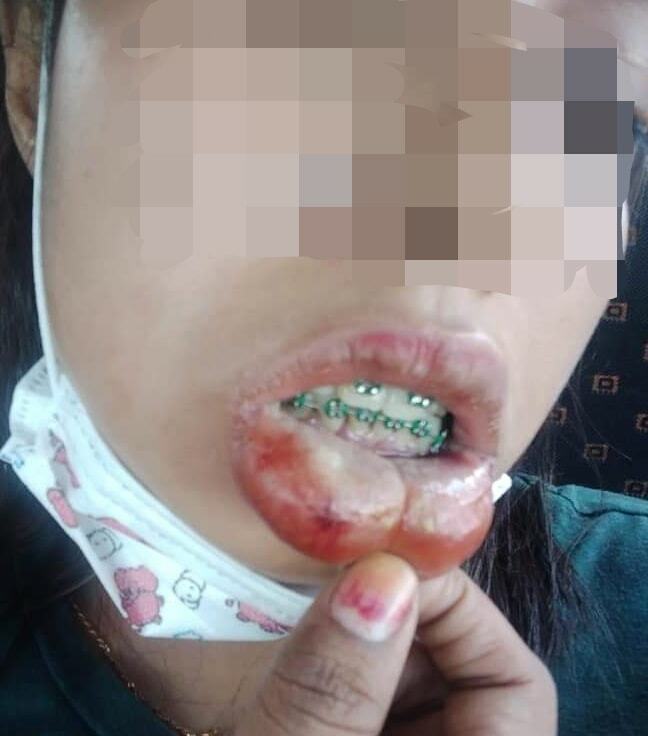 According to a Facebook post, a dentist by the name of Azila shared about a Malaysian woman who recently suffered from swollen lips and a high fever after just one week of wearing fake braces. 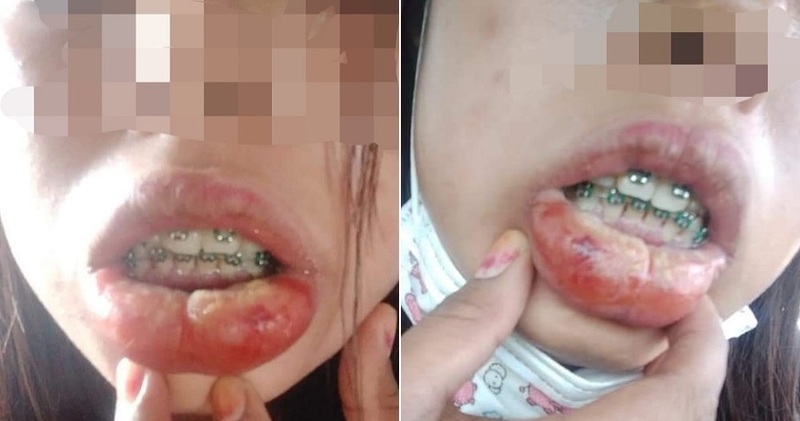 The victim, a woman from Johor, admitted that she wanted to get braces because all of her friends and colleagues were wearing them too. Azila also shared how many of them wore braces to follow a fashion trend and very few of them actually needed to straighten their teeth. However, as we all know, getting braces is a very expensive thing to do. Upon searching for a cheaper alternative, she managed to find a “dentist” who was offering to do her braces for only RM190. She then agreed to his proposal and had her braces fixed at her own home. 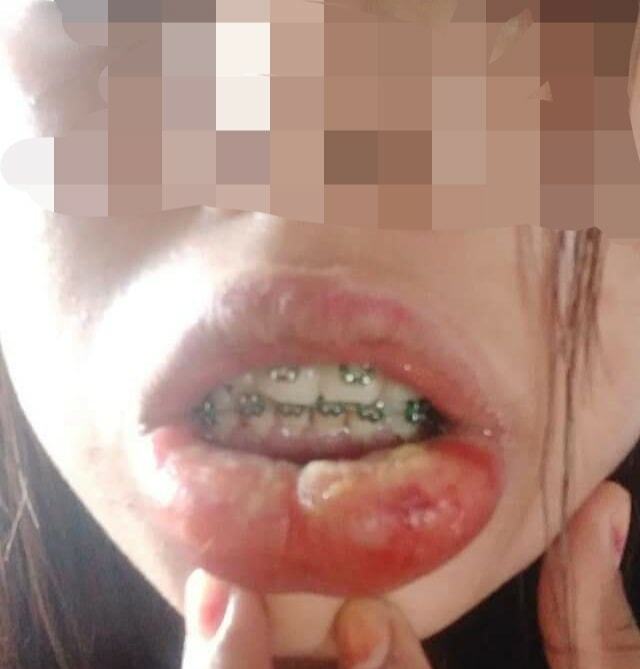 However, after a week, her lips started to become swollen and it was filled with pus. She also suffered from a very high fever and was eventually bedridden for three days. Upon confronting the “dentist” about her condition, he simply told her that it was a normal occurrence and that she didn’t need to worry about it. How is that normal?! Seeing how severe her own condition was, the victim went to a clinic to get her blood tested. 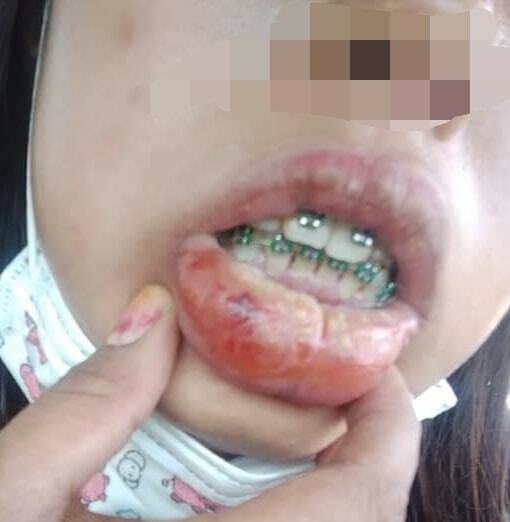 The results came back and showed several bacterial infections that was caused by her fake braces. The girl had to be admitted into a ward for two days. 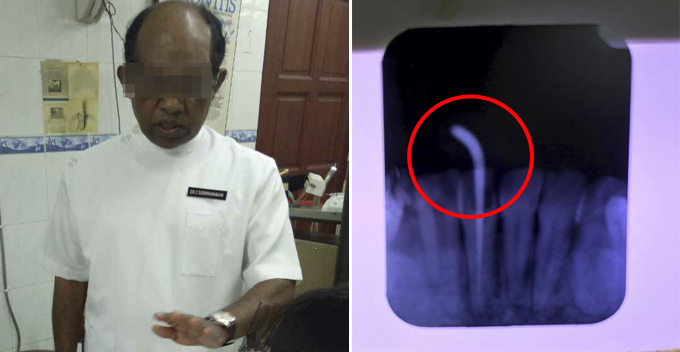 She then finally went to a licensed orthodontist to get them removed and was charged a sum of RM650. We hope that nobody would be scammed by these fake dentists or cheap braces anymore. If you would like to get braces, please opt to get it at a licensed and reputable orthodontist, even if it means paying a little more. Nothing is more important than your health and safety!